BT023WSA – WaterSaver Faucet Co.
Panel mounted flange with 45 degree angle quick connect fitting. 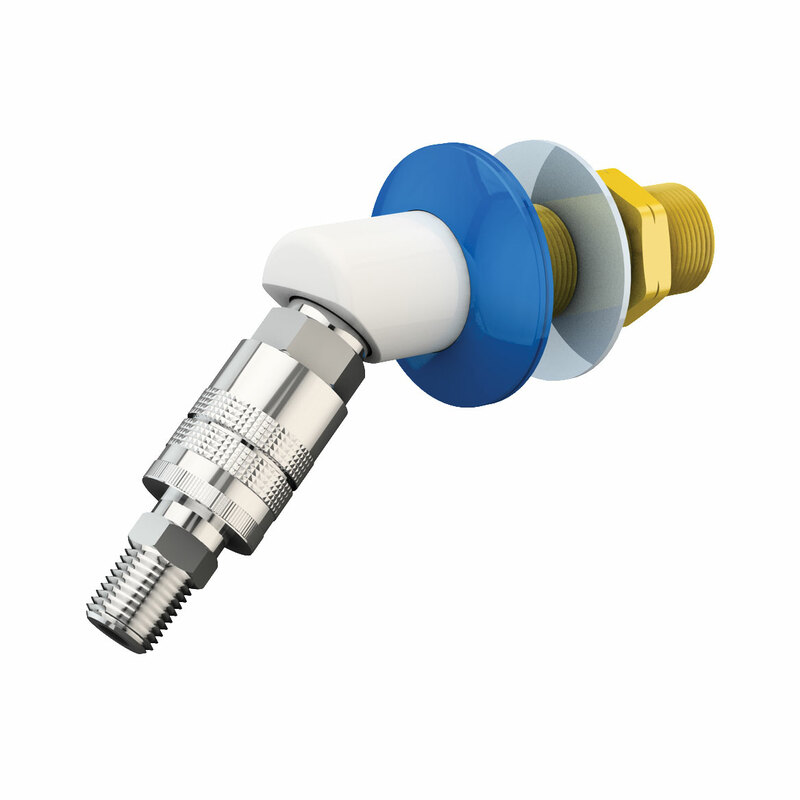 Quick connect has 1/4″ IPS plug. Furnished with mounting shank, locknut and washer.